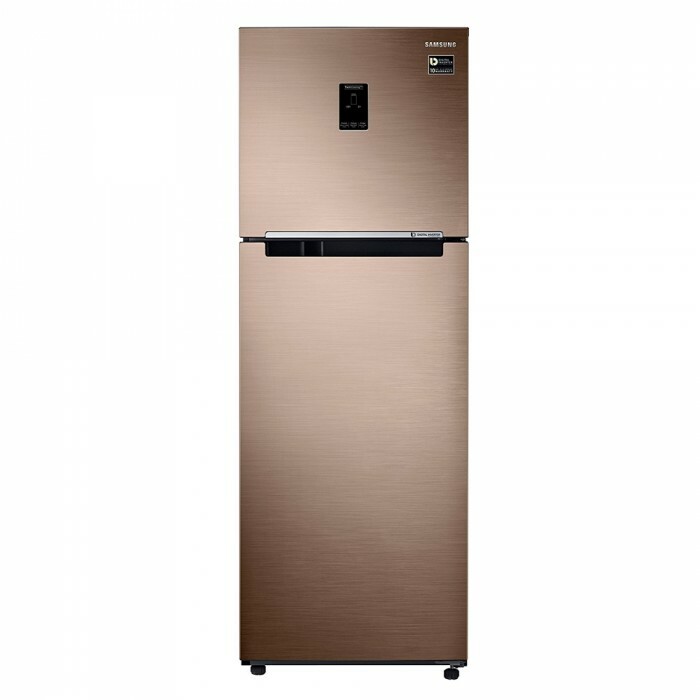 Store food items and maintain their freshness in the Samsung RT37M5538DP Double Door Refrigerator 345 Litres, Refined Bronze. 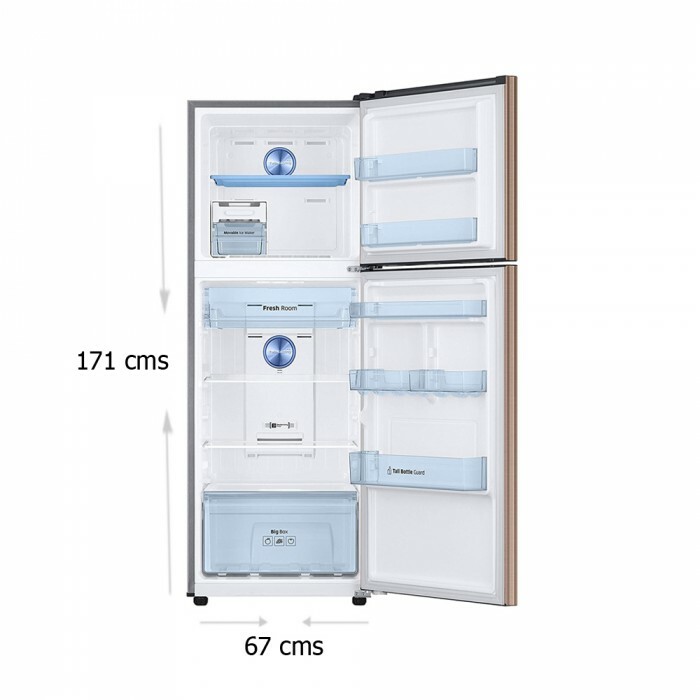 This 3 Star rating energ..
Store food items and maintain their freshness in the Samsung RT37M5538DP Double Door Refrigerator 345 Litres, Refined Bronze. This 3 Star rating energy-efficient fridge preserves food for a long time with its reliable cooling features. In addition, it has a storage capacity of 345 litres that enables you to store your pots, beverage cans, and food platters with ease.